Thanks for sharing! I've been wanting this scan without actually having to go and download the song (which I don't really like) to get it. Ahhh thank you sooo much for this one :D :D : D lovely scan! Thanks for sharing. Very nice scan. why am i so hyperactive today...im tired..but i still have to reconstruct...*sigh! ^^, i love the darkness in the scan...its really VK style....but Hino suddenly chose Blue roses..i guess ill have to make a research on the colors of roses..since it seems important! DAMN! 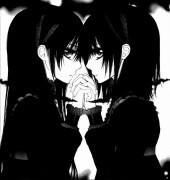 I JUST LOVE THESE DARK IMAGES! IT"S SOOOOO HOT! LOOK AT THEM POSE! IT SCREAMS HOT HOT HOT HOT HOT HOT! I love this scan! Just downloaded the song. 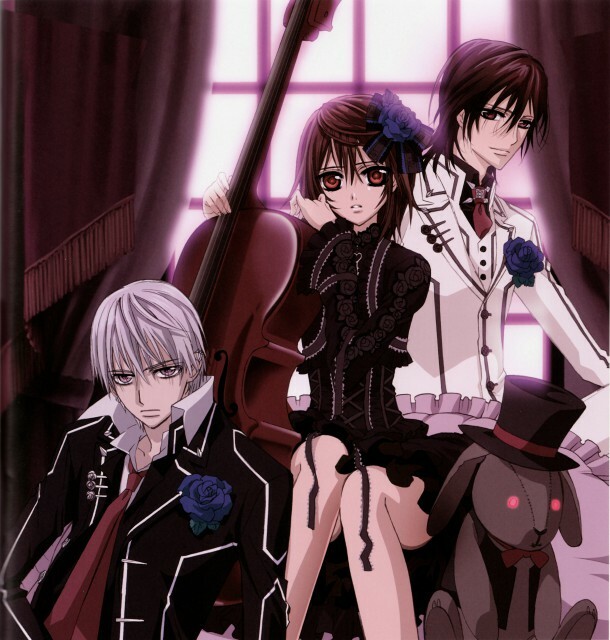 this was the first imagen that i saw of VK and for this I fell in love of this manga! is so cute! omg thanks for sharing! this pic is so pretty!